An opening in a wall without a head seems incomplete. A heading element completes the identity of a gap. The heading element, as a flat, circular or a segmental arc, creates a doorway or gateway. The heading element with or without a super structure, bridges the sides of the walls or the jambs giving a structural stability in stresses like an earthquake. The bridging or heading element is appended with small super body to enhance the surface at head level. It does not add any bearing load. From primitive times it was realized that heading elements, need to be of better quality material, then the bearing structures and had to be of monolithic materials like wood or stone. 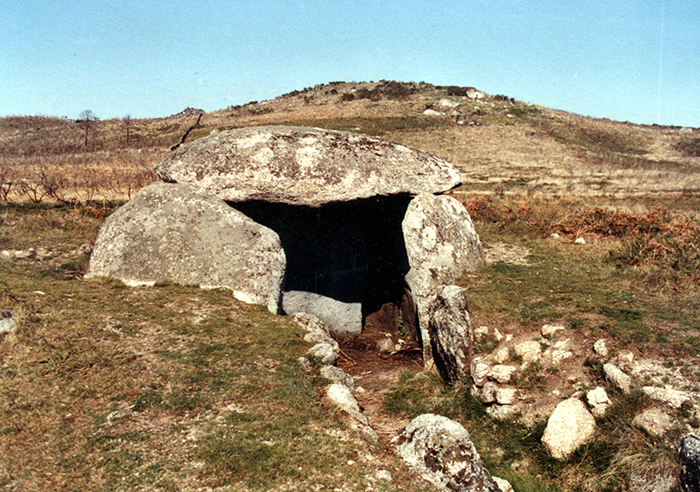 Such large monolithic entities of extra ordinary size and weight have been managed in on open sites construction of Dolmens. To carry and manipulate such a mass inside partly constructed site was very difficult. 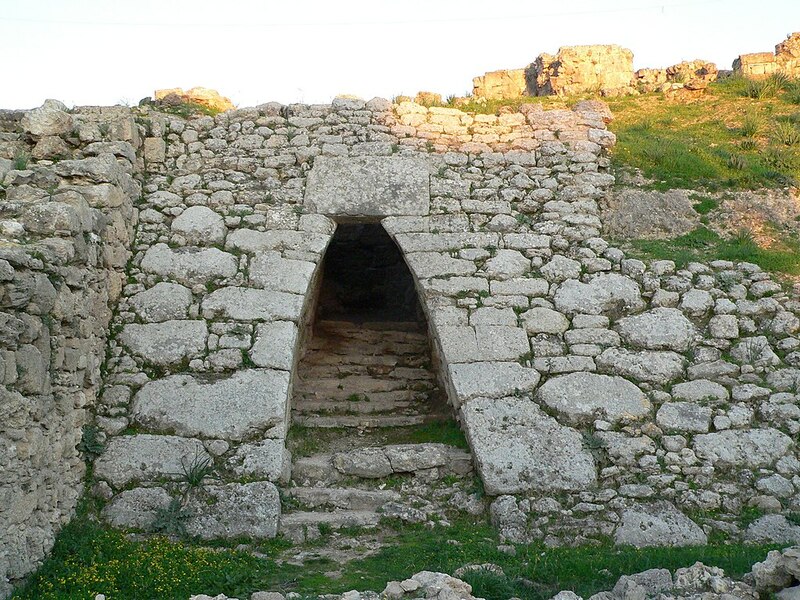 The Lion Gate, at the main entrance of the Bronze Age citadel of Mycenae, of 13 C. BC, had a huge lintel that measures 4.5×2.0×0.8 m size, spanning 3.10 m gap. The corbelled masonry courses reduce the bearing load on lintel. A gap can be headed for decorative and structural purposes such as bridging the side and to carry the loads of super structure. 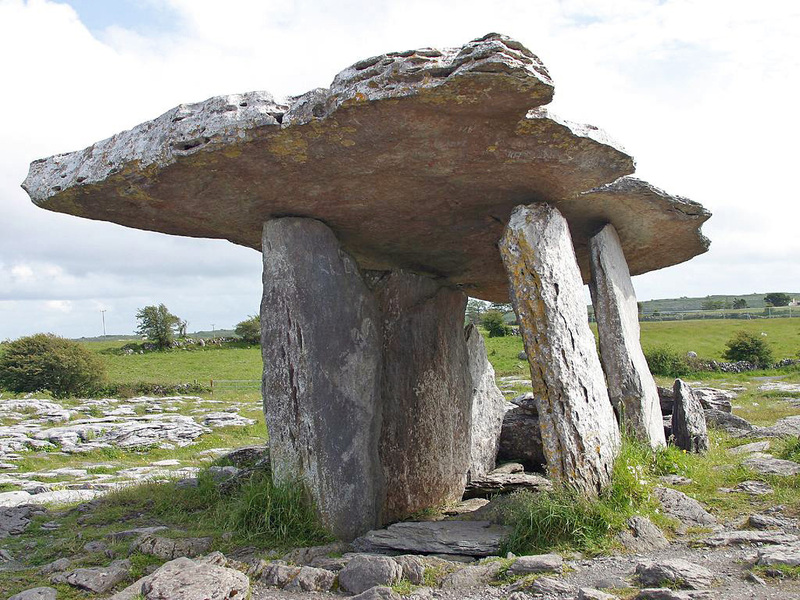 Monolithic structures such as wood lintels have uncertain life, Stone lintels had ill-defined bearing properties, and were prone to sudden cracking under load and movement or torque stresses. As a result for several centuries, gaps have been square headed by lintels, and topped with arches or corbelled masonry work. The door heads of stone after serving the function of a bridging element (adding the integrity of a structure) were load-lightened by variety of techniques. 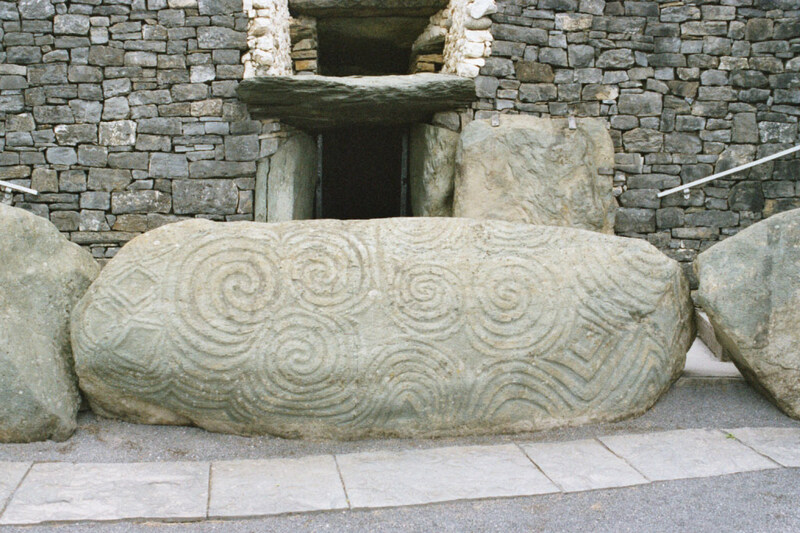 These included corbelled masonry, arching, double layered lintels, a secondary layer of lintels, provision of lattices, openings (lites) and deep carving. In case of wood, geometric constructions like framing or trussing was used. Romans’ covered opening gaps with full, segmental and flat arches of bricks and stones. 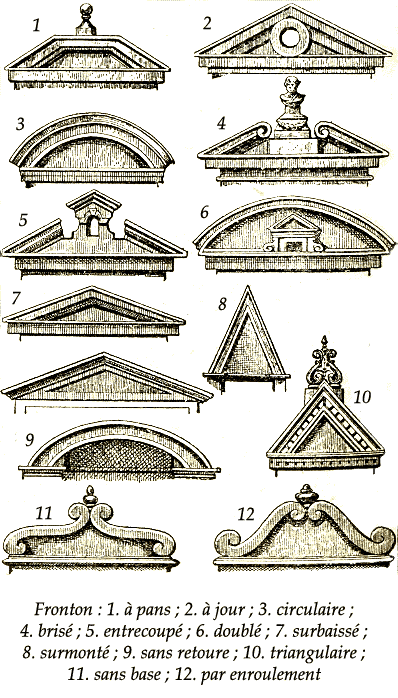 The Romans, later in Romanesque and Revival buildings, the Tympanum or triangular pediment was used as the basic form for door head. It had stone carving, and sculptured terracotta as story depiction form. 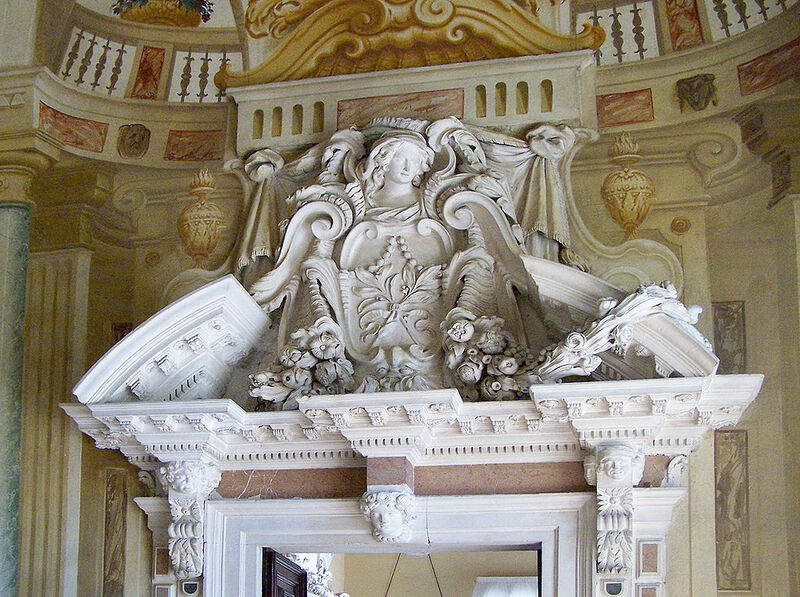 Later the pediments’ forms were dissected and several versions were created. 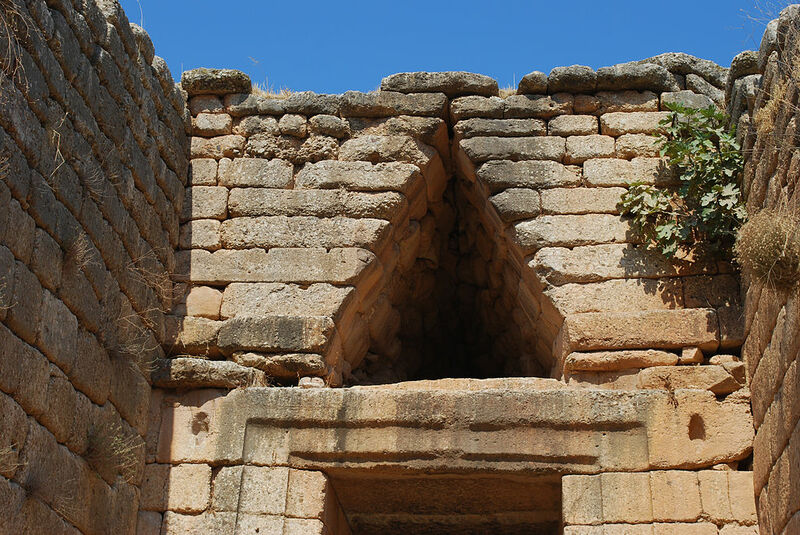 The pediment as a triangular form was a strong shape, its tapering ends reflected the structural behaviour of a spanning element. It was projected out of the wall and supported by free columns or half-pilasters. 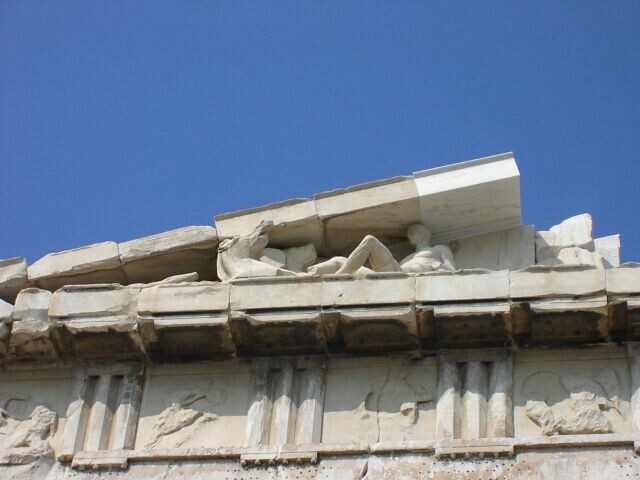 Due to the small width of the gap the pediment triangle was also small, and could not accommodate any sculpture. 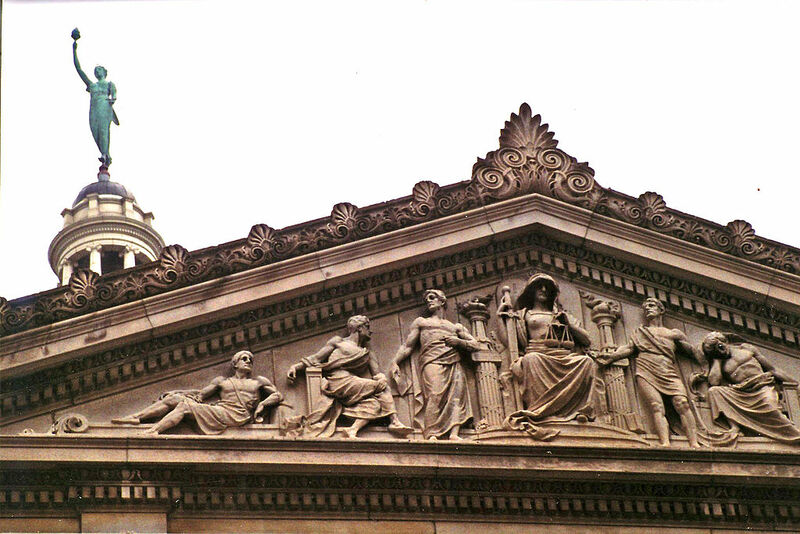 The pediments were cut at top, bottom and even sides to add sculpted over sized figures, geometric patterns and medallions. In India and other parts of Asia Door heads were treated, both as a stand alone panel, and also integrated with the openings’ treatment. 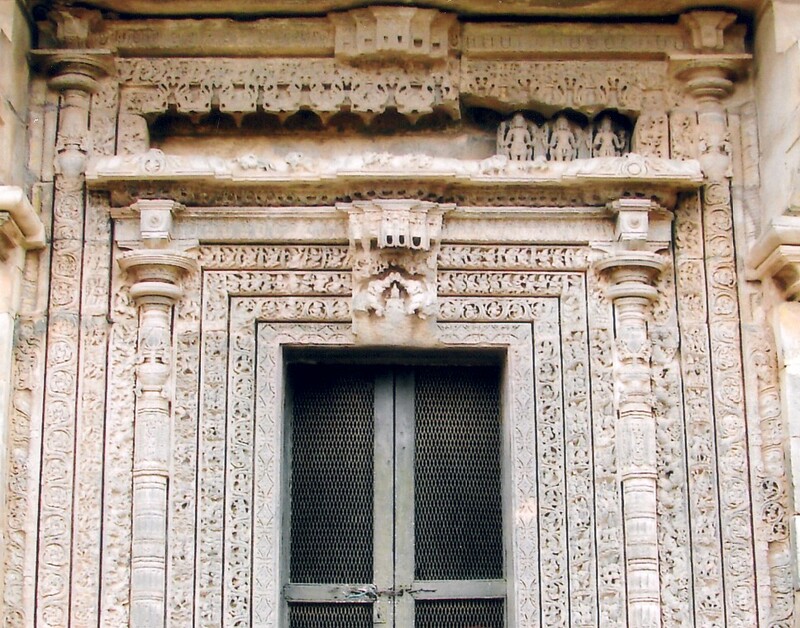 There were few representative elements common in temple doors, such as the Goddess Laxmi (of riches), Crocodile, Elephants, Lotus and water. 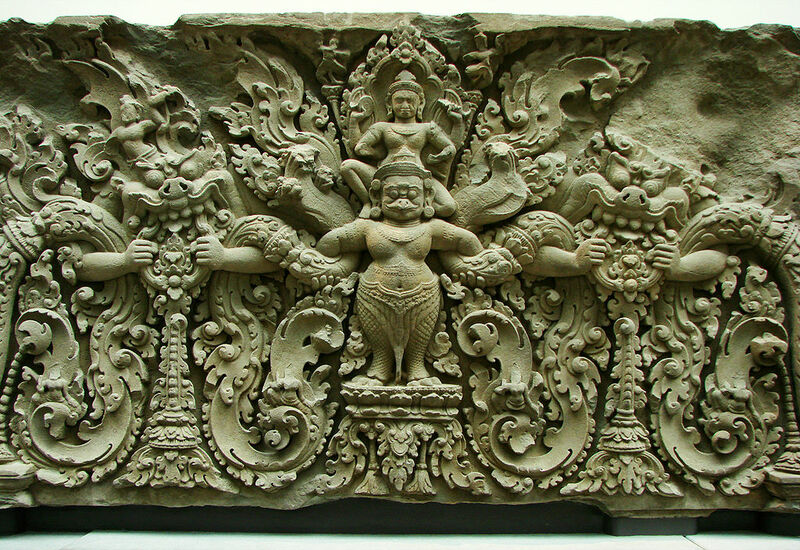 Depiction of a mythological story is also common. The door head panel was not a triangular bound entity like European pediments. 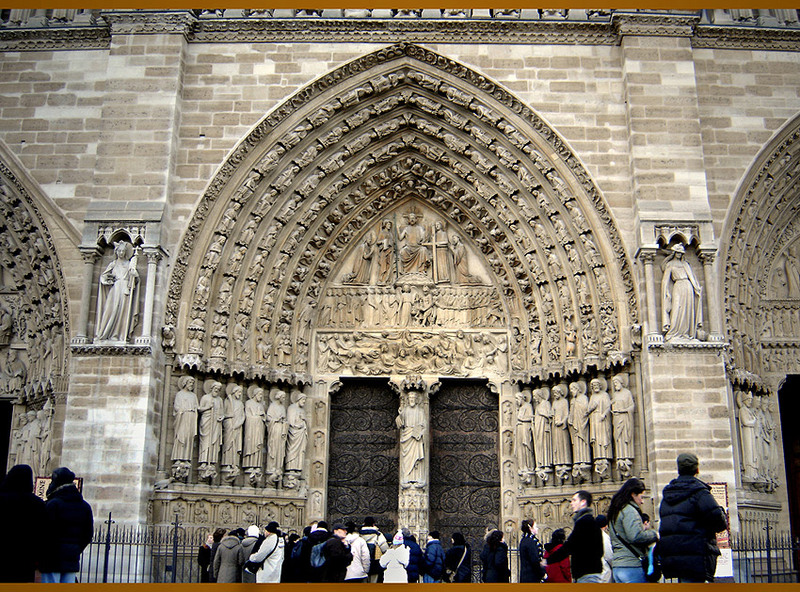 In Gothic architecture, the triangulated door heads became circular or pointed arch. The thick wall and the door head both were chamfered. The tapered sides had serrated edges. The fluted lines were stretched to the sides of the door. 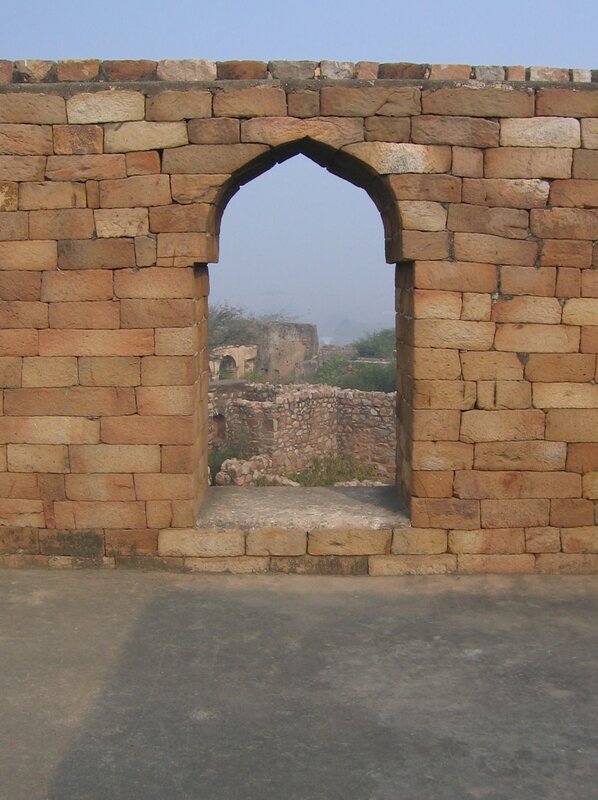 The flatter section over the door and covered by the pointed arch was the story board. 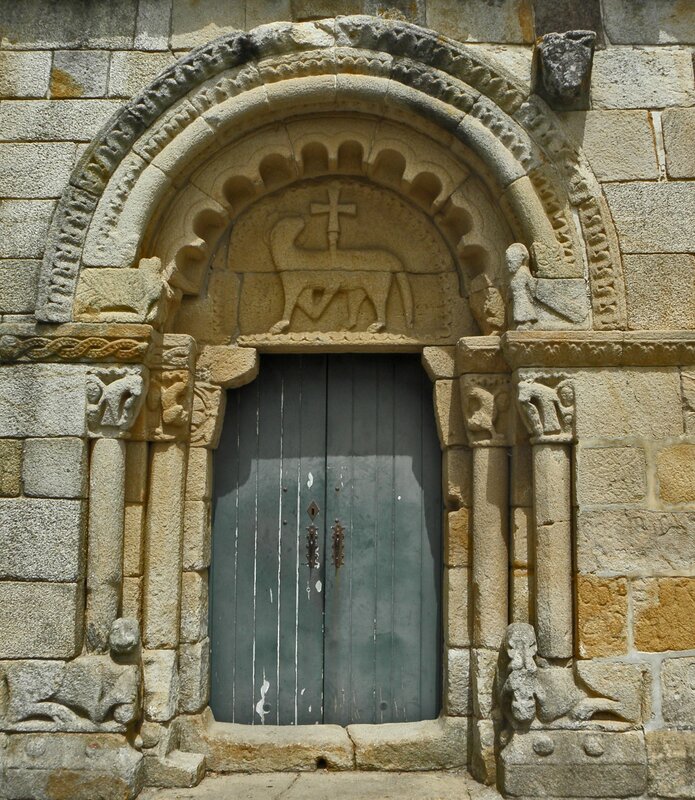 In Spanish architecture the door heads have grown from the finite confines of the tympanum to become an integrated approach to framing of an opening. It could cover a part or whole of the façade, often including upper-level window openings. Wood Door heads have been very different creations. Material, mass and strength have moulded their design. 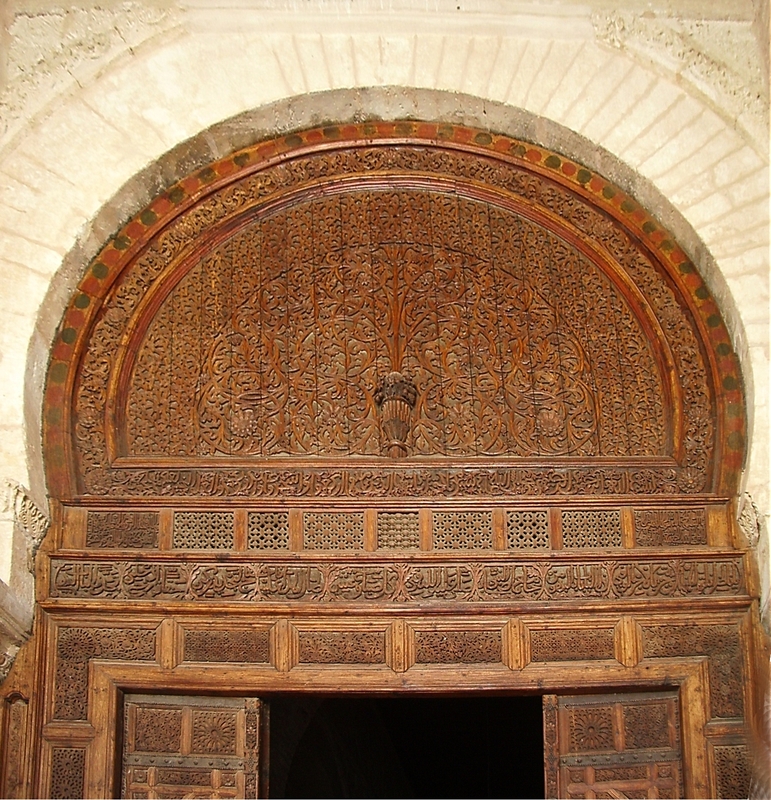 carved wooden door in the Great Mosque of Kairouan, Tunisia.